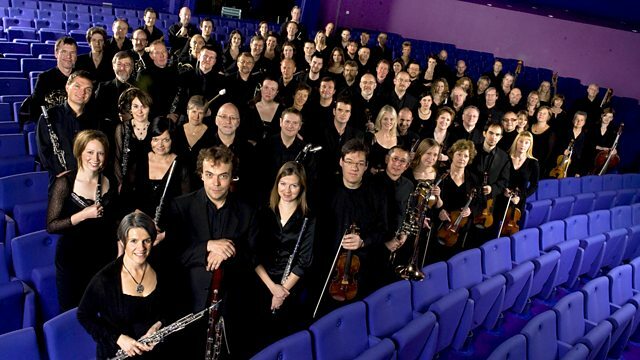 Music from the BBC Philharmonic. HK Gruber: Northwind Pictures. Kurt Schwertsik: Nachtmusiken. Stravinsky: Oedipus Rex. Korngold: Violin Concerto. Britten: Recitative and Aria. This week a range of varied repertoire with the BBC Philharmonic, including two recent concerts given by the orchestra in Vienna plus other Viennese music, and their latest recording, a concerto album dedicated to Benjamin Britten in the year of his centenary. Our regular Thursday Opera Matinee features a rarely heard comic piece by Rossini. Today, we start in Vienna's Konzerthaus with composer H. K. Gruber at the helm of the BBC Philharmonic, conducting his own Northwind Pictures, followed by Kurt Schwertsik's Nacthmusiken, music of the night from another Viennese composer, and then Stravinsky's opera-oratorio Oedipus Rex, based on Sophocles. Then, staying in Viennese spirit, Korngold's Violin Concerto with soloist Ruth Palmer under the baton of Yutaka Sado from a concert in Cumbria last month. The programme ends with Britten's Recitative and Aria for piano and orchestra, the original third movement for his Piano Concerto Op. 13, which you can hear on Thursday played by the same team, pianist Howard Shelley with Edward Gardner conducting. Recitative and aria for piano and orchestra [original 3rd movement for Piano Concerto, Op.